I want to say one thousand words of thanks. 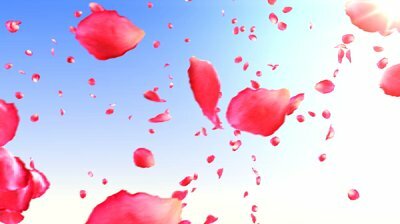 One million rose petals in the air. I want to be humbled by the sheer knowledge of what is. I want to blow into one million pieces, and dedicate myself to the world. And that I am only a temporary placement of outer beauty. I want you to know that the beauty inside me is everlasting. And I want you to know that I did not create this. I want you to know that eternity is forever, and then more. I want you to know that ‘me’ is just a figure of speech. Was one of those days worth living. This entry was posted in All Posts, Elizabeth Blue's Poetry and tagged beauty, dance of the soul, gratitude, Inspiration, liberation, liberation dance, love, messages from spirit, Personal, poetry, Rumi, signs, soul, synchonicity by Lucia Maya. Bookmark the permalink. It is exceedingly beautiful how Elizabeth lives on in so many hearts and through her extraordinary wisdom-writings and your love. Sharing this today. I sat down this morning to read about your life—and your mom’s too. I started with your poetry and wondered how it was for you to feel so deeply at such a young age,if you were lonely or if such a terrific friend like Samantha was always around to really see you… You noticed the small things (which are really big things). Not many people do. I understood every single word you said, from the inside-out, about your experience at the Cancer center (since I had a brain tumor too) and it seems people have a hard time with brain- tumor-small talk. And yes, those restaurant buzzers are incredibly bizarre. You were/are definitely more irreverent than I, but I thought the exact same thing: “Good morning, welcome to the Arizona Cancer Center.” Really? I could say a lot about grief but I am not going to do that. I am going to tell you I am crying as I write this because this poem really got to me. I made it this far, all the way from the beginning and am going to carry you with me into this day with this string of jeweled words you wrote at 14. I don’t know how all this works, (where we go from here when we leave the costume), but I do believe love abides, that spirit stirs itself up again and returns, that love finds itself, recognizes the beloved again and again. I am certain your mom misses you incredibly much. I miss you and I didn’t even know you. I have to stop writing now because I can’t see the screen. You are a beauty Elizabeth Blue. I even love your name. Soar, my dear, though you clearly need no encouragement from me. thank you for this beautiful letter. I have few words, but want you to know it has touched and moved me deeply. Thank you for taking the time to get to know my beloved daughter. I am sure she is soaring! Incredible poem. And to think that she was so very young when she wrote it. Elizabeth must have been one of those people with an “old soul”. Thanks for reading it, and for writing! Her time on this earth may have been short but her impact has been, and will continue to be, great; and everlasting. This is beautiful. And a lesson about life and living we all must learn. So we learn to appreciate each moment and make a lifetime out of it. Thank you. Thank you – I agree, and see myself as her scribe, her publisher, to help her writing reach many. It’s for me too, of course, to continue to learn and to appreciate each precious moment of life, and those we love in it! I hope it is ok with you, but I was so moved and inspired by this poem I have devoted a blog post of my own to it; and I have written the entire poem and also provided a separate link to your blog. It will be published this coming Thursday. I just want to share Elizabeth’s messsge and her gift with all of my followers. I hope you are ok with it. It is fine with me for you to share her poem with attribution, I’m delighted! I am grateful for more people reading her poetry and getting to know the amazing being she was. Thank you! What a great poem. And what a lovely piece to have today. It must seem like she is visiting you, chatting and reassuring you all at the same time. A poem made all the more magnificent due to her young age when she wrote it and the shortness of her experience of this life up to that time. This is an astonishing poem that I just saw posted on the website of a dear friend – a mother who is in the process of saying her final goodbyes to her 24 year old daughter Molly. What a gift of awareness and joy your daughter had – I am deeply touched and deeply grateful to have had the privilege of reading her words! Thank you. Thank you so much for writing! I’m touched and grateful to know that Elizabeth’s writing is reaching so many. I send my blessings and prayers to your friend and her daughter. Please let your friend know she is welcome to contact me if she wants to connect at any point. Lucia, this poem by Elizabeth took my breath away. So beautiful that one has to believe that she possessed a life wisdom that comes with a life’s fullness. And…I didn’t know that her middle name is Claire. Yes, it took my breath away too this morning when I (re)discovered it…I knew it needed to be shared. Even at age 14 she had a connection with something much greater than many ever experience. She was named after your mother, yes! I wanted to bring in the Kurland/Rabinowitz ancestors and honor them, so her first name, Elizabeth, was also honoring Bess, though it was indirect…I wanted her to have a name that was strong, beautiful, feminine and she really embodied all of those qualities. I read everything you post from Elizabeth. I’m privileged to witness such a sacred relationship between Mother and Daughter, and onlyto have a sense of this highly inspired Blue Spirit.